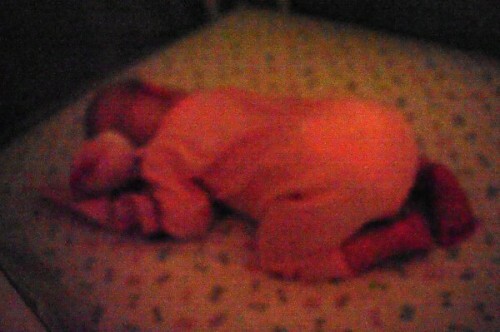 Sometimes, Heather sleeps like this; on her stomach, knees and arms underneath her. It's ridiculous. I'm beginning to think this is a normal sleeping position for babies. Heather is not the first one I've seen who likes to sleep with her bum in the air!